The group is open to anyone who is 18-25 and affected by bipolar. This includes those who may or may not have a diagnosis, carers and those who have family members or friends with bipolar. 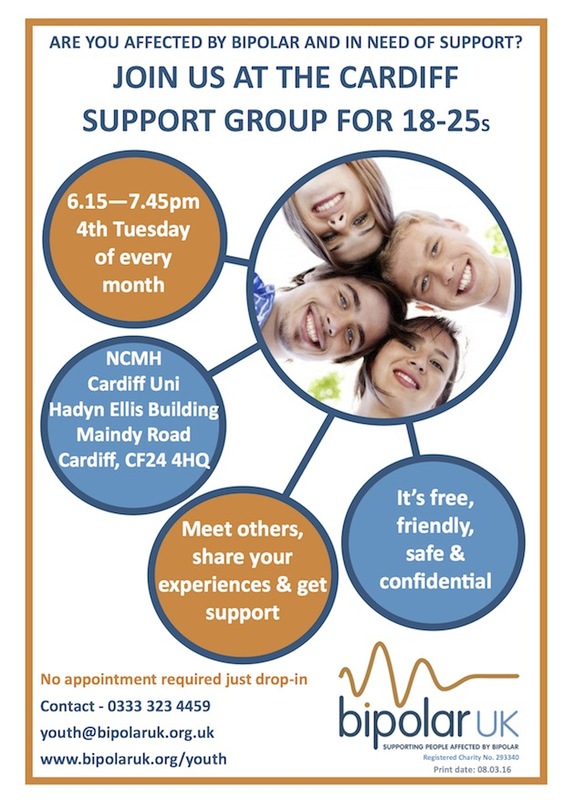 Cardiff's group moves to a new location, NCMH, Cardiff Uni, Hadyn Ellis Building, Maindy Road, Cardiff CF24 4HQ (map) on Tuesday 26th April 2016 and run every fourth Tuesday of the month from then on. You don’t need to tell anyone you’re coming along and you don’t have to talk about anything you don’t want to. Occasional guest speakers are invited to talk to the group about relevant issues. What if you're under 18 but know it could benefit you? I'll drop youth@bipolaruk.org.uk an email, but in the meantime you could try contacting them on Facebook? 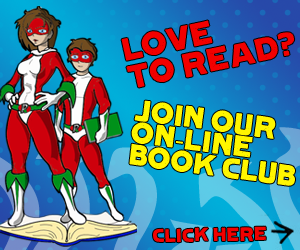 "We have had some flexibility on the lower age range and tend to work on a case by case basis. If the young person or someone who supports them wants to contact me on 01633 244 244 to discuss we can talk to them about the group and come to a mutual decision about whether it is appropriate for them to come along. The 18 age limit is there as the content of the groups can be quite adult sometimes and young people have discussed issues such as drug use and inappropriate sexual behaviour. Therefore we would want to ensure that any person 16-18 who wanted to attend was fully aware of that and can make an informed choice about attending."